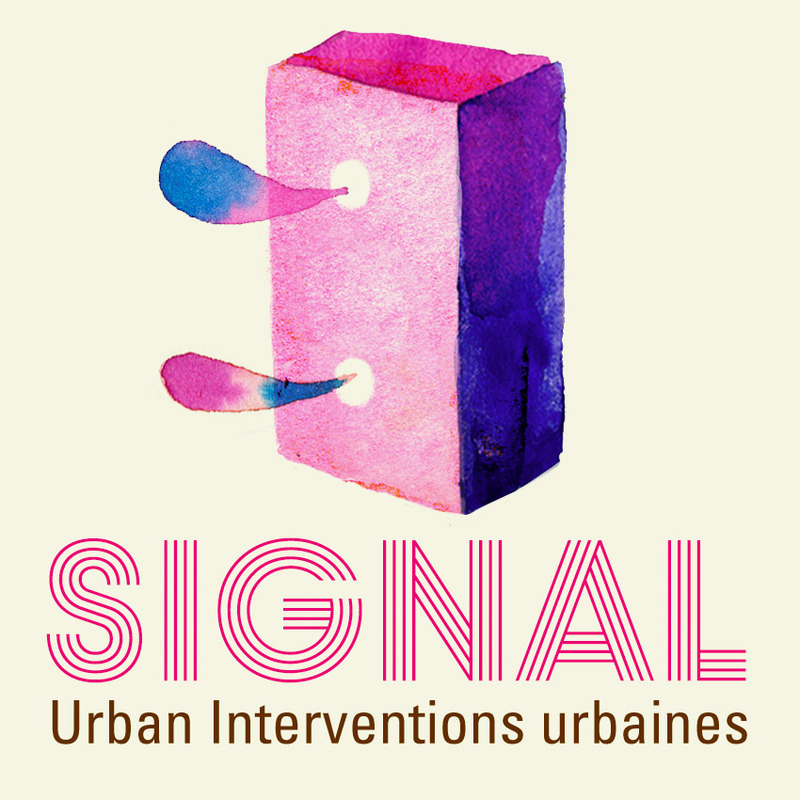 Signal, four days to explore and discuss the relationship between Living Art and the City with debates, meetings, workshops and urban interventions. The Summer University of Cifas, which is dedicated to the relations between Living Art and Public Space, uses the notion of the "other" during three days to explore the existing tensions between hidden city and ideal city, more or less barricaded ghettos and unexpected encounters, correct social behaviour and compulsory participation. In these complex relationships which weave our urban everyday life, what role(s) do artists, cultural operators and people in charge of cultural policies want to play? The Summer University will be extended to a program of living and ephemeral interventions in public space, furthering the reflection, but overall addressing the citizens and users of the City, in four different neighbourhoods of Brussels. Art in the City, what other future? On one hand is the hidden City; with new kinds of vegetation and so-called invasive plants, with animal populations that live next to us without us realising their existence, with erased human stories, hidden archaeological layers, concealed phreatic tables, catacombs and secret gardens... On the other hand is a "sustainable" City, where noise, air pollution, violence, insecurity, loneliness would be suppressed, a City... that would almost become the countryside. With Dana Yahalomi (Public Movement), Ludvig Duregård, Sheila Ghelani. The workshop will include an open discussion and an outdoor practice. Through viewing of news footage, video documentation and public performances, we will create an analysis and mapping of possible choreographies in public space. Following the discussion, we will go out to the center of Brussels for a short exploration of group movement an patterns. During the session we will discuss and present ideas on some key issues regarding arts in public space. Our questions will be focusing on the (in)tangible values, their measurability and the enabling of creation and presentation of artistic work. What impact does artistic interventions have in the public space? How do we argue their worth to stakeholders and gate keepers? What do we need to have greater impact in the cities where we engage? For the past year Sheila has been making Rambles with Nature - a new body of work that explores the hedgerow from many different angles, through many different art-forms and with many different collaborators. Over the course of the project she has worked with artists, illustrators, musicians, ecologists, gardeners, wildlife enthusiasts and foragers (to name but a few). Together they have been undertaking a series of Rambles, using the hedgerow as a starting point or 'spine'. In the middle. On the edge. At the border. Through this filter they will track some of the city's unseen bodies, histories and activities. Lenses zoomed in. Detective-like. The group will go in search of the hidden, unnoticed and overlooked. Becoming alert to animals, insects, borders and boundaries. The small. The invisible. The forgotten. Each participant will leave equipped with tools and some instructions to take forward into their own practice. German artist Frank Bölter designs ephemeral constructions made of paper which interrogate the space where they fold in a poetic way. For Signal, he initiates a project that will occur again a few weeks later during festival Kanal. An Origami Refugee Camp, which will take place in front of the Church Béguinage to maybe swarm... and go further to the canal. An interpellation to our political representatives (especially European) and to ourselves, on the place we want to give refugees into society. The city of differences, whether individual or community. The city of ghettos, rich and poor, of classes and cultures. The city where contraries coexist, sometimes uneasily, the City with boundaries marked socially and/or by urban planning... but it is also the City with meeting spaces, public or private, where unexpected encounters are possible whether friendly, romantic or sexual... which can only happen in the City. With Tania El Khoury, Heba El Cheikh (Mahatat), Frank Bölter, Wim Embrecht. This workshop will be a discussion about the right to access the sea and the struggle over public space in the city. It focuses on the ongoing struggle in Beirut to reclaim the seashore and oppose the privatisation of the last remaining open land on the sea. It also draws on Dictaphone Group's performance and research findings from "This Sea Is Mine" project as well as the work of different artists and activists from several cities who fight for the right to access the sea and the right to a city they dream of. With the aim to gain a deeper understanding of the impact of the socioeconomic, spatial, and cultural context of an artistic intervention in public space, and using the experience of Mahatat in Egypt as an example, the workshop will include a visual presentation of different art in public space interventions and their context in Egypt, a guided brainstorming on different contexts, and a compilation of lessons learnt and reflections. Mahatat is a Cairo based initiative for art in public space and community art. It was founded in 2011 by five individuals from different national and professional backgrounds. Mahatat envisions a society in which contemporary art is an accessible and visible part in everyday life and in public spaces. Mahatat works toward the accessibility and the decentralization of contemporary art by developing art in public spaces and community art projects in Greater Cairo and different governorates in the Nile Delta. Israeli collective Public Movement interrogates the political signifiers inscribed in urban spaces, hidden in urban fabric. With "Positions", they question everyone's identity, through a simple action: in a given space chosen for its symbolic value (in this case, near a place where important European decisions are made), a series of "statements" are provided by loud speakers and a system of "separation" physically divides the participants into groups and ask their adherence to ethical and political issues - here related to European identity. It is the City of the community that we are, deliberately or despite us, with the others. The rules of correct social behaviour - imposed on us or that we impose ourselves - in order to better live together, and the rules that we break when we cross the street at a red light or when we brave the rules of decency, for example. The activities - with a neighborhood, within a district or gathering strangers extemporaneously - to which we participate, hoping and trying to be together, to be a community. Activities growing alongside the means of communication which, while becoming more and more powerful, end up isolating us physically. With Ludovic Nobileau and Antonia Taddei (XTNT), Steven Cohen, Jennifer Bonn, Caroline Masini and Laurie Bellanca (Kom.Post) and Agnès Quackels. Mons will be the European Capital of Culture in 2015. How to represent it? We propose to divert the Google Street View technology, to create staged situations in the street of Mons with their inhabitants. Each resident becomes an actor of his own city. And the actors? They are at the Summer University of Cifas to reinvent artistic acts in the city. For this workshop, they will be invited to Mons to make the entrance in the City: a roundabout, very beautiful, mineral, with gentle slopes for pedestrians on the edge... Do we have the right to rest? Can we turn around in circles? Participants will be brought to Mons after lunch and returned to Brussels by mini-bus in the late afternoon. Steven Cohen has developed a concept of "body scenography", using the body as the stage, working with mind/breath/movement/time/lighting and objects/props/costume as an of extension of body. Then the idea is to see how that takes on a new significance in public space - it's fun, serious fun. Each participant in the workshop should bring with them three objects of any size or form or material that they can relate to and which has significance for them. Come with comfortable clothes and an open mind. Because of force majeure events, Steven Cohen has to cancel his presence at the Summer University. As part of a new line of research which will run from 2014 to 2017, kom.post proposes to address and question chorality as a place of dissent. The kom.post workshop is an opportunity for a first experiment around the question of the multiple voice - composed and composing, polysemic and polyphonic -, a kind of "territory" (both real and imaginary) to be occupied. How can dissent generate stories and participate in the production of a collective, complex and heterogeneous narrative ? Countering the separation, segregation and communitarianism impulsed by urban amenities, kom.post's research on chorality attempts to reveal new modes of narrative and individual, social and aesthetic re-presentations. "Chorality: orality and geography". It is around this equation that kom.post will propose a physical and vocal experience based on a corpus of texts, sounds, and images (from Seneca's "Oedipus" to the songs of sports fans, via the performances of Francys Alÿs and the Standing Man of Istanbul) which will initiate the discussion around new forms of chorality in the contemporary city, and invite participants to experiment different practices of looking, storytelling and experimenting physicality. Slovenian collective Ljud - known for their invasions of cities by unsympathetic aliens or for the way they revisit public space as art collections - developed a new project in public space, making use of modern means of reproduction and dissemination of images (smartphones, social networks ...), calling on the audience to participate and work with these tools. 30.08: Art in the City, what other future? The speakers of the previous three days come back on theoretical and practical experiences of the week, and, relying on participants' questions, think about the future of living art in public space, particularly in the context of Brussels, especially with the action of Cifas in times to come. Each day will be followed by artistic actions in public space at 7pm. Born in Lippstadt (Germany), visual artist Frank Bölter presented many exhibitions before expanding his artistic practice to the achievement of paper and cardboard interventions in public space with different projects. He received many international prizes, such as the International Print Triennial in Kanagawa, the Art Meets Industry Award in Germany and the International Art Biennial Award Lulea Lulea Summer in Sweden. Through his works, he proposes a reflexion about the evolution of sense, especially for industrial materials. Frank Bölter was in Belgium two years ago for Kanal Festival where he navigated a paper boat on the Canal of Brussels. Steven Cohen was born in 1962 in South Africa and lives in Lille, France. He is a performance artist who stages interventions in the public realm and in gallery/theatre spaces. His work invariably draws attention to that which is marginalised in society, starting with his own identity as a gay, Jewish, white South African man. Cohen has performed at the Festival d’Automne in Paris. Performances have also taken place at the Munich Opera Festival, Bavarian State Opera; the first Aichi Triennale, Japan; Festival Escena Contemporánea, Madrid; Danae festival, Milan; La Bâtie - the Festival of Geneva; C/U (Body Mind) Festival, Warsaw; Festival Trouble, Les Halles de Schaerbeek, Brussels; Festival les Anticodes, Brest, France; Oktoberdans festival, Bergen, Norway; Festival d'Avignon, France; and the National Arts Festival, Grahamstown, South Africa, among others. Recent group exhibitions at the Museum for Contemporary Art, Roskilde, Denmark (2014); la Maison Rouge, Paris (2013); the 11th Havana Biennale (2012); Beirut Art Centre, Lebanon (2012); the Vienna Kunsthalle (2011); Kiasma Museum of Contemporary Art, Helsinki (2011); the South African National Gallery, Cape Town (2009-10). Heba El Cheikh is a cultural activist and Co-founder of Mahatat for Contemporary Art based in Egypt. Heba studied French, Translation and Journalism and in 2012 attained an MA in Arts Management, focusing on community arts and evaluation at the Utrecht School of Arts in the Netherlands. She is co-founder of Mahatat for Contemporary Art, which believes in the democratization of the cultural sector and aims to decentralize the arts making it available to everyone, both through arts in public spaces and community arts projects. In 2009 she co-founded the Journey Cultural Group in Alexandria, aiming to promote youth creativity and critical thinking through culture and arts. Her experience ranges from interpreting and journalism (radio and print media) to website editing and cultural operating. Having travelled to many European and Arab countries, Heba has published fieldwork-based articles in French and Arabic weeklies and magazines, exploring arts and travelling, local community life style, culture and legacy. Tania El Khoury is an artist working between London and Beirut. She creates interactive and challenging performances in which the audience is an active collaborator. Tania’s solo work has toured internationally, and for which she is the recipient of the Total Theatre Innovation Award and the Arches Brick Award. She is the co-founder of Dictaphone Group, a research and performance collective aiming at reclaiming public space in Lebanon. Former scout leader, social worker in New York (with homeless people) and Molenbeek, Wim Embrecht has been working in Brussels for 20 years on the junctions between social and economic, cultural and urban development. Building bridges and realising dreams are key words in his CV. Initiator, inspirer and director of Recyclart during 8 years (Urban Pilot Project born in 1997), coordinator of BRXLBRAVO in 2007 (Arts Celebration in Brussels), initiator, inspirer and director of ART2WORK since 2007 and Managing Director of Platform Kanal since 2009. French & Mottershead is UK artist duo Rebecca French and Andrew Mottershead. Their work explores and reveals the social dynamics and narratives inherent within public and private spaces. Adopting diverse methods and approaches, projects are often borne out of rigorous research, when the duo embed themselves within a particular site/community, or work with experts in order to harness material on their chosen subject. Within this process the role of participants is often directed and framed, requiring them to become active collaborators. Resulting works have taken the form of film, performance, photography and installation, and are as much playful and poetic, as they are subversive, calling into question and reframing individuals’ relationship to their everyday. French & Mottershead have exhibited and performed extensively in international contexts including art centres, museums, galleries, visual art and performance festivals, and in biennials and the public realm. Site-specific locations have included shops and local newspapers in various international cities, the West Indian Ex-Serviceman’s Association, a public library, a North Tampa pool hall, and the pork supply chain in China. He has lectured on dramaturgy and philosophy of dance at many European festivals and universities, and he is currently a Theory lecturer at the Barcelona CSD. His poems, "Nodo Parlato", were published in 2001. His book "A Contracuento. La Danza y las derivas del narrar" (Cuerpo de Letra) was published in 2012. Sheila Ghelani's work spans performance, installation and moving image. She enjoys the weight of words when spoken or held and finds multiples of objects and actions arranged in repetitious patterns very reassuring. She likes to cut things up, break things apart and mix things together. She is also very interested in the practice of medicine and care and the relationship between art and science with particular focus on hybridity. At present she is developing a new body of work called "Rambles with Nature" which explores the hedgerow from many different angles with many different collaborators (funded by The National Lottery through Arts Council England). She is also currently co-creating work with patients at Mersey Care's Broadoak Unit in partnership with TATE Liverpool - the results of which will be exhibited there in July. In addition to her solo practice Sheila is an Associate Artist of Blast Theory and Clod Ensemble's Performing Medicine Project and regularly teaches in Academic contexts, mentors artists and students and gives public talks. Claude Katz is a lawyer in Brussels, specialised in author's rights. He regularly speaks at Art Schools (La Cambre, Le 75) and is Vice-President of UNICEF Belgium. He is also President of L'L, a research place that supports young artsits. Founded in January 2009 in Berlin, kom.post is an interdisciplinary collective made up of thirty international artists and researchers. Kompost members base their research and actions on process. They attach less importance to the production of a collective work than to setting in motion a terrain for interrogation which activates creative "micro-groups". As the work methods are diverse, each member is able to nourish, prolong, and counterbalance the research of another member or that of the group as a whole, following the principles which are dear to kom.post : the "exchange of knowledge" and the "reprise", or re-take. The roles of author, contributor, and spectator are constantly exchanged, thereby maintaining the members in a continuous research on forms of creation, transmission and artistic sharing, still permitted and valid in these "2.0 times". Kom.post is nomadic and presents its creations (performances, new forms of mediation, exhibitions...) in various European and international events. Ljud is a collective of idealists from very different backgrounds who have gathered to change the world through the medium of art. Their moto is: "Theatre is a “living” phenomenon that must be in direct contact with the present times." They are currently focused on performing in public spaces, combining different media, genres and techniques, but they can also be found making music, films, writing, DJing, gardening, playing chess and practicing levitation. Marie-Sophie Peyre is a scientific officer in charge of the ethics at the European Research Council Executive Agency (EU). Peyre is a lawyer, specializing in ethics, human rights and public law. She previously worked as a judge for the United Nations High Commissioner for Refugees, and as an adviser to Robert Badinter, former French Ministry of Justice, former President of French Constitutional Council. She graduated from the Ecole nationale d’Administration - Cycle des hautes études européennes – and from University Paris I-Panthéon-Sorbonne. Her present researches focus on the one hand on the democratic transition of the post-communist countries and on the other hand on Russian constructivism. 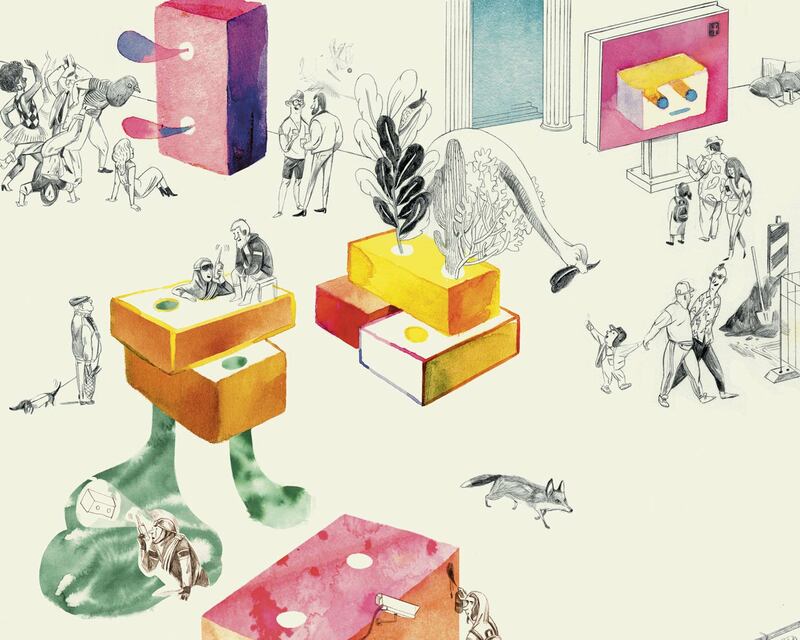 In the last seven years, Public Movement has explored the regulations, forces, agents, and policies, formations of identity and systems of ritual which govern the dynamics of public life and public space. The Movement was founded in December 2006 by Omer Krieger and Dana Yahalomi, the later assumed sole leadership in 2011. Agnès Quackels studied Romanic Philology and Cultural Management (ULB). She co-founded in 2004 Margarita Production for which she worked until 2011 with which she supports projects of numerous artists based in Brussels - www.margaritaproduction.be. Since then, she is the artistic director of Buda Arts Centre in Kortrijk. The venue is based on three main pillars: a cinema arthouse working all year long, residences for performing arts projects and festivals varying in length and format (NEXT, BUDAVISTA, Kortrijk Congé, etc... ). Company X/tnt, directed by Antonia Taddei and Ludovic Nobileau, has made ​​a specialty of ephemeral street actions, punches interventions in public space, as well as research for new forms of theatrical experiments. Their operations such as "Stress Free", for example, aimed at eradicate stress in the city as a first ecological necessity, and therefore set up ephemeral art interventions, close to the concept of flash mob. Recentllyt, X/tnt has unrolled in a few minutes, a mobile human and pedestrian crossing on Place de l'Etoile in Paris, to allow pedestrians to cross without using the underground. Around these participative and outsized actions in urban space, X/tnt claims to reappropriate public space and reinvent the City. Currently, X/tnt is in residence in Mons making “Mons Street reView”, 10 km of streets, restaged with locals... and captured by a 360 degrees camera. It will be online by January 2015. Cifas (suite...) offers contemporary artists to illustrate its communication. ATTENTION: You do NOT need to send us a CV and letter of motivation, simply register by sending us an email with your data to cifas@cifas.be.